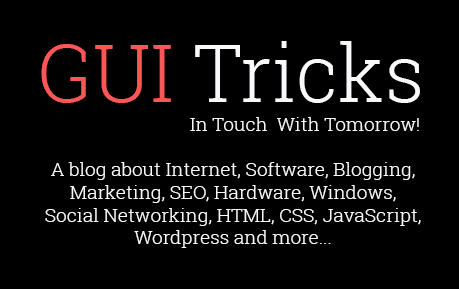 5 Computer Maintenance Tools To Fix Windows 10 Errors | GUI Tricks - In Touch With Tomorrow! 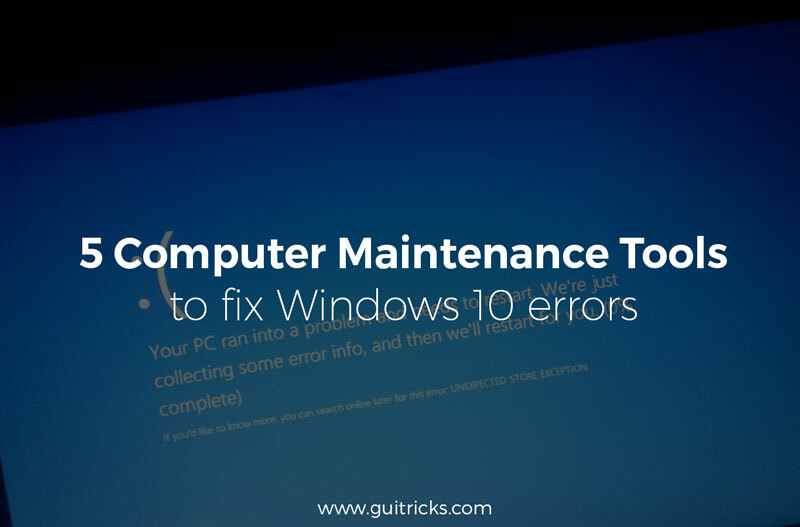 5 Computer Maintenance Tools To Fix Windows 10 Errors - GUI Tricks - In Touch With Tomorrow! Windows 10 is a significant improvement on previous versions because it is better equipped to boost speed. However, there's a lot of bloatware and junk files that will sit on your system after some time. Errors also occur due to various reasons. So here is a list of the best tools you can use to correct system errors and speed up your PC. This PC optimization program comes in freeware and premium version which they call the Pro version. The pro version has modules that include antivirus, Windows customization, internet connection tweaker, and search as well as recovery tools. This program ranks top because even its freeware version packs some essential maintenance tools that can help fix several common system errors and make Windows faster. The Iolo System Mechanic Professional is easy to use with a simple and intuitive user interface. The interface shows an overview of the system’s status which tells you the issues that need fixing such as registry issues, fragmented hard drives, and junk files. The junk file cleanup tool scans the whole system and erases obsolete files. The program also has a registry tuner file although Windows 10 is more capable of taking care of the registry compared to its predecessors, so registry issues are not going to be as prevalent as you saw in previous Windows. The Pro version also offers protection from malware and the option to recover data. This is another effective PC optimization software with thorough cleanup tools. It is sufficient for removing software to free up space, managing startup items and repairing errors. The CCleaner also comes in freeware and paid versions; both are excellent at cleaning the system and repairing errors. This program conducts system scans and uses its registry and hard disk cleaners to remove any unwanted files that are causing errors or slowing down the PC. You can also set this easy to use optimization program to exclude some files while running its scans. CCleaner can also scan third-party applications and has browser extensions to manage browser add-ons for optimal all-round performance. This is a free program that fixes issues with windows 10. The program has six functionalities; each tackles a specific part of the system like File Explorer and system tools. All the features can deliver fixes for over 10 issues. When using this tool, always start by creating a restore point to avoid losing any information. The program scans and fixes problems with files and folders. It also scans the system including the task manager, registry, and device manager and corrects any errors and issues. FixWin 10 has a great user interface with standard fixes displayed for the start menu, office programs, wifi and listed under the Windows 10 section. If you recently upgraded to Windows 10, this program has a section that specifically fixes problems that occurred as a result. This tool cleans up the system and also collects data from its user base to recommend optimal settings for PCs. It is compatible with Windows 10, 8, 8.1, 7, Vista and XP. It has some unique capabilities too, like power consumption options and ability to check if the antivirus software is outdated. While its option to delete junk files is useful, you cannot mass delete with this tool. You need to erase one item at a time. This program makes a noticeable difference in PC performance. It features an intuitive health monitor that provides system information at a glance. That would be enough reason for it to rank higher on the list but it does not come with a shredding tool. IOBIT comes in freeware, and paid options and both give a respectable performance when it comes to cleaning up the areas that clog up the PC and cause it to slow down. The Pro option comes with additional security features like malware protection. However, there are better antimalware options out there, and some of them are free. Another common problem with PCs can be outdated drivers. These can cause program malfunctions and some crashes, so you need a tool to ensure your drivers are always up to date. You can also try manual checks, though those will take time because you never know when updates are released. A fast and healthy PC can only be maintained by keeping out the bad stuff. Anything that risks information or slows down the PC is an enemy. These include malware and bloatware. With an antimalware service and proper internet use, you can avoid slowing down your PC for a long time.